Medical marijuana laws were broadly expanded in the state of Florida with the passing of Amendment 2 on November 8th, 2016, making medical marijuana much more accessible to patients suffering from chronic medical conditions. Florida marijuana laws can be confusing, which is why we put together this informative infographic that highlights information about medical marijuana laws in the state of Florida. 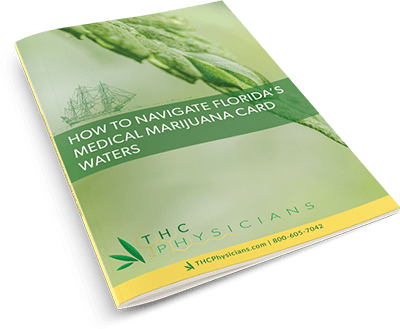 Below are 5 very important facts about getting a medical marijuana card in the Sunshine State, your first step if you are interesting in utilizing medical marijuana for a debilitating and chronic condition. Amendment 2 expanded the use of medical marijuana for individuals suffering from chronic medical conditions, as determined by a qualified, licensed, physician. Prior to Amendment 2, the Florida Legislature approved low-THC medical marijuana for patients with a list of specific qualifying conditions. However, the passing of Amendment 2 expanded this list to include debilitating medical conditions of the same kind or class. Florida’s Department of Health has published a list of debilitating medical conditions for which medical marijuana is considered an applicable treatment. *Same Kind or Class means that qualified physicians have the right to exercise their medical judgement in recommending medical marijuana for patients that suffer from medical conditions considered to be debilitating and chronic. FLORIDA DEPARTMENT OF HEALTH Article X, Section 29, (b), (1)Debilitating medical condition means cancer, epilepsy, glaucoma, positive status for human immunodeficiency virus (HIV), acquired immune deficiency syndrome (AIDS), post-traumatic stress disorder (PTSD), amyotrophic lateral sclerosis (ALS), Crohn’s disease, Parkinson’s disease, multiple sclerosis, or other debilitating medical condition of the same kind or class as or comparable to those enumerated, and for which a physician believes the medical use of marijuana would likely outweigh the potential health risks for a patient. For example, the physicians at THC Physicians have the right to exercise their medical judgment in recommending medical marijuana for patients that suffer from medical conditions considered to be debilitating and chronic. For a comprehensive list of some of the more common conditions that would qualify a patient for the use of medical marijuana visit our page on Florida medical marijuana card qualifying medical conditions. While medical marijuana is now available to those who qualify, the possession and use laws for non-medical marijuana have not changed. You can only purchase marijuana legally if you are medically qualified, and the use of medical marijuana does not immunize violations of federal law or any non-medical use, possession or production of marijuana. It is also important to note that regardless of what the Florida state law says, or what it may be updated to, marijuana sale and possession is illegal under the Controlled Substance Act. In other words, federal law will always trump state law. A certified doctor is a doctor that has been authorized by the Florida Department of Health to recommend medical marijuana for patients that suffer from chronic conditions. These doctors must have completed a 2-hour course and examination offered by the Florida Medical Association or Florida Osteopathic Medical Association, depending on their license type. While many doctors have undergone this certification, not all of them certify. Many became registered with the state but are not actively seeing medical marijuana patients. If you are seeking a medical marijuana doctor to get a recommendation, talk to THC Physicians. A “recommendation” is kind of like a prescription, but because marijuana is still illegal under federal law, only medical marijuana recommendations are possible. In fact, there is no such thing as a medical marijuana prescription because of the conflicting laws between the state of Florida and the federal government. You can’t go to a pharmacy to get your recommendation filled, and dispensaries don’t fill prescriptions. When you obtain your medical marijuana card, you’ll be able to purchase medical marijuana. Be weary of any doctor or clinic that advertises medical marijuana prescriptions. They simply don’t exist and should never be advertised as such. The Medical Marijuana Use Registry is a secure, electronic, and online database for the registration of ordering physicians and qualified patients. It is accessible to ordering physicians, law enforcement, dispensing organization staff, and Office of Medical Marijuana Use staff. The registration with the Medical Marijuana Use Registry follows the patient’s initial medical evaluation and recommendation. Due to the acceptance of medical marijuana usage and regulation within over two dozen states and Washington D.C., some speculation has arisen regarding the de-scheduling of marijuana on a national level. The scheduling of drugs, or Drug Schedules, as they are referred on the Drug Enforcement Administration (DEA) website, refer to the five distinct categories or schedules depending upon the drug’s acceptable medical use and the drug’s abuse or dependence potential. 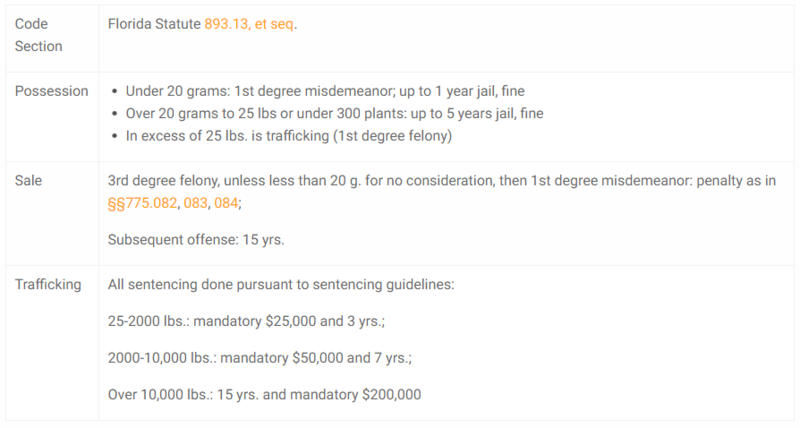 According to this list, marijuana is a Schedule I drug, meaning it has the highest potential for abuse and the highest potential to create severe psychological and/or physical dependence. Other Schedule I drugs include: heroin, lysergic acid diethylamide (LSD), ecstasy, methaqualone, and peyote. Why marijuana could be considered for de-scheduling is based on its definition as having “no accepted medical use.” This is in stark contrast to what we are seeing permitted under laws of certain states with the regulation and recommendation of medical marijuana. Thus, the speculation is that there may be some forthcoming legislation that is introduced that decriminalizes marijuana and removes it from the list of scheduled substances under the U.S. Controlled Substances Act of 1970. This could potentially open up more public health investments to better understand the effects of medical marijuana on the brain and the efficacy of the drug for specific ailments or conditions. It would also place some regulatory restrictions on the advertising of marijuana in the same way the alcohol and tobacco companies are restricted. Along these lines, President Trump has expressed that he is in favor of medical marijuana. However, U.S. Attorney General Jeff Sessions has expressed his concerns about the drug. The good news for medical marijuana proponents and patients is that recent legislation bars the U.S. Department of Justice from spending money to interfere with the implementation of state medical marijuana laws. This bar, however, only concerns medical marijuana usage which is why the emphasis on de-scheduling the drug is still just speculation.